Join William Ivinsons mailing list. If you're already subscribed, you can also unsubscribe. Bill is of both Aboriginal and Torres Strait Island descent and was born and raised in Darwin N.T. He has belonging to kinship systems of various Aboriginal groups from Broome in W.A. through Wadeye (Port Keats), Peppeminatti (Murrin Ger – Mother’s Language Group), Daly River in the N.T. and is accepted into family clan systems in various communities within the Northern Territory. His Torres Strait Islander origins through his father’s people begin in Erub (Darnley Island) in the Torres Strait and extend through family systems to Brisbane in QLD and Perth in Western Australia. 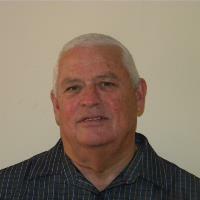 He is a Senior Elder with a deep knowledge of the needs and aspirations of Aboriginal and Torres Strait Island people and an in-depth understanding of Australian Aboriginal Culture.